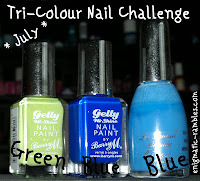 These are the three polishes I chose for this month's challenge. Barry M's Key Lime Gelly, Barry M's Blue Grape Gelly and finally La Femme's Sky Blue. 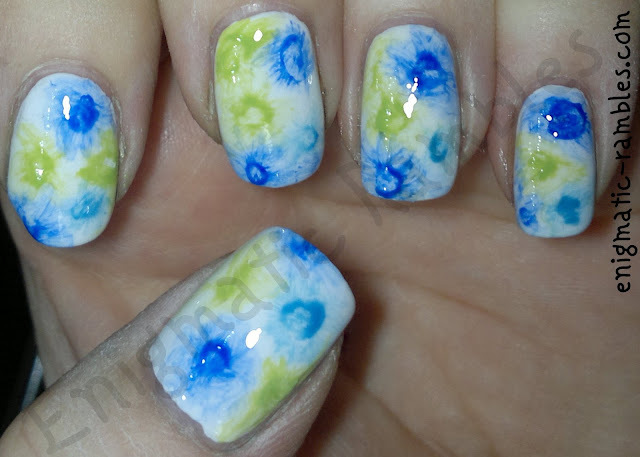 I love the effect, it is done with acetone? Great effect! loving the color combo too! What's on the side of my bath?